If I purchase a subscription to Pairaphrase, when can I start to use it? Once you have created an account, you will receive an email asking you to confirm your account. Within minutes of confirming your registration and completing your user profile, you can be translating your first project! Pairaphrase is a web-based TMS (translation management system) and a CAT (computer-assisted technology) tool. The software runs on Amazon servers and you access it via a web browser (in the cloud). As long as you have an internet connection, you can access Pairaphrase wherever you are. This means that our cloud-based translation software does not require a download and does not live on your hard drive, removing the need to manually load any software. Adding users to your organization’s Pairaphrase account is simple. Cloud-based translation software allows translation collaboration to become more powerful across time zones and location. What devices can I use to access my Pairaphrase account? Because Pairaphrase is cloud-based, you can easily access your Pairaphrase account on mobile devices, tablets, and computers. We have various plans available to cater to your organization’s specific needs. You can view all our plans here. For organizations requiring more than 100 users, you’ll need to speak with a representative at https://www.pairaphrase.com/contact-us/. Translation memory: you will never have to translate the same sentence twice! Learn more about how translation memory works. How can I pay for my Pairaphrase subscription? You can pay for your Pairaphrase subscription online using a credit card, debit card, or ACH eCheck. We accept Visa, Master Card, Discover, American Express, or eCheck. Can I carry my unused words on to the next month? Any unused words “Rollover words” from a previous billing period are rolled over to the next billing cycle. Rollover words must be used within the next billing cycle or they expire. Rollover words expire after a maximum of 30 days. Can I purchase more words? You can purchase additional words by logging on and going to the “Get More Words” link. Can I downgrade or upgrade my Pairaphrase subscription? You can change your subscription at any time by logging on and clicking on the “Change Plans” button on your User Profile. Is there a minimum period for a subscription to Pairaphrase? Paying plans automatically renew every 30 days. It is your responsibility to manage your plan. You can downgrade to a different plan at any time. If there is a failed credit card payment, you will be notified 4 times. After which, if there is no valid payment method, your plan will be on hold. Can I cancel my subscription to Pairaphrase? Yes, you can cancel your paying subscription at any time. You can delete your account at any time. Does Pairaphrase store my credit card or ACH information? Pairaphrase does not store credit card or ACH information. Credit card and ACH information are stored by a third-party merchant services company – Stripe. Stripe uses multiple third-party security companies to ensure that the security of its customers is always meeting the strictest of industry security standards. All of Stripe’s communications and processing occur through Secure Sockets Layer (SSL). To ensure an even higher level of security, Stripe uses 1024-bit SSL encryption with all of its transactions. Stripe realizes that the theft of lists or databases in which credit card information is stored can have dire consequences for merchants and their customers. With this in mind, in the Stripe system, each credit card number is stored individually, making it impossible to steal an entire list or database full of sensitive data. Credit card numbers can only be viewed on an individual basis by unlocking or decrypting each one. If a card number is needed, the requested number is decrypted and unparsed from the system, a process that takes only a few seconds. Stripe’s non-database system provides the highest possible level of security for credit card data and ACH storage. How is my data secured with Pairaphrase? Pairaphrase is compliant with the new European GDPR regulation effective May 25, 2018. The following steps have been implemented to become compliant. A “Delete Account” button has been added to your user profile popup. When you click on “Delete Account” this will remove your entire profile, contact information, user history and any files on the Active Documents page from the Pairaphrase system. None of your information or files will be stored in the Pairaphrase system after you delete your account. In short, it’s like you never existed as a Pairaphrase subscriber. Any payment history will be kept by Pairaphrase for as long as necessary to be in compliance with IRS regulations and reporting. Pairaphrase email systems have been connected to ensure that if you unsubscribe from one of Pairaphrase marketing and promotional email campaigns you will have unsubscribed from any other email lists or campaigns across all Pairaphrase marketing and promotional email systems. Certain application emails are necessary for Pairaphrase to operate correctly. All users must receive these emails in order for Pairaphrase to function correctly. These emails are only triggered by user actions when using Pairaphrase. Users will be unsubscribed from this list only when they chose to delete their account. To delete your company’s Translation Memory files, a Pairaphrase Administrator from your organization will need to make that request in writing. Once your Translation Memories have been deleted they cannot be retrieved or recovered. All Pairaphrase API partners are GDPR compliant. A copy of the Pairaphrase Security Compliance report is available upon request. Is it safe to translate in Pairaphrase? Our cloud-based translation software has the highest standards in security. The content you submit to have translated is never indexed, saved or published by any search engines. When you use the Translation Wizard to translate small chunks of text, Pairaphrase scrubs the application clean of that content when you leave the page. When you translate a document or other electronic file your translations are stored in Translation Memories that are unique to your organization. Similar to credit card payments, we use a secure SSL certified https protocol during the translation process. Your login credentials guarantee that only you or other authorized users in your organization can access your company’s Translation Memories. No other Pairaphrase client has access to your data. What’s more, Pairaphrase is secure document translation software. This means that you can upload your confidential files for translation and rest assured that they are safe from anyone’s eyes but yours—or authorized users in your organization. How are Translation Memories shared? Translation Memories are only shared with others within an organization. Users must have the same email domain (@example.com) to share translation memories with other users in their own organization. Only users with the same domain name will get the same translation experience. Learn more about Pairaphrase translation software with data security. What browsers are supported by Pairaphrase? Pairaphrase can be accessed on the following platforms and browsers. We strongly suggest users update their browser software regularly for the best experience and for optimum safety. What files can I translate through Pairaphrase? Can I use my existing Translation Memories with Pairaphrase? Yes, you can upload your own translation memories to Pairaphrase in .tmx format. How does Pairaphrase generate translations? Pairaphrase uses Microsoft Translator, Translation Memory and a powerful algorithm to produce translations in 50 languages. Microsoft Translator is built on more than a decade of natural-language research at Microsoft. Rather than writing hand-crafted rules to translate between languages, modern translation systems approach translation as a problem of learning the transformation of text between languages from existing human translations and leveraging recent advances in applied statistics and machine learning. A Translation Memory (also known as a TM) is a bilingual content management system that store text as “segments,” which can be sentences, paragraphs or sentence-like units (headings, titles or elements in a list) that have previously been translated, in order to aid human translation. The translation memory stores the source text and its corresponding translation in language pairs called “translation units.” Translation Memories contain only two languages; a “source” language and a “target” language. Pairaphrase can create over 2,000 translation memories on your behalf. Pairaphrase uses an in-house designed algorithm to generate the highest-quality translations from machine translation and client specific translation memories. 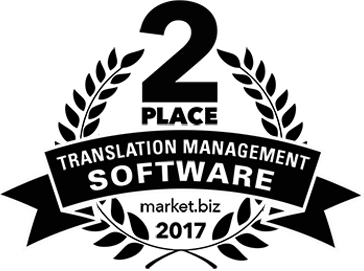 Translation Memory (TM) can best be described as a bilingual content management system. Translation Memory was first developed in the 1980’s and is used by almost every translation company to produce translations. Translation Memory allows users to “translate once and reuse many times.” Translation Memory is embedded into Pairaphrase and works in the background anytime you translate a document or electronic file. How is Pairaphrase different from most TM software? Pairaphrase is optimized for Microsoft users. Pairaphrase makes file translation super easy and fast. 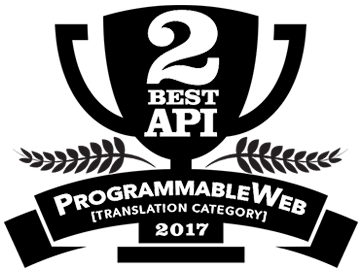 Pairaphrase uses dynamic machine learning technology to continuously improve translation quality. Pairaphrase puts professional translation technologies, like Translation Memory, into the hands of all its users without any added investment and a minimal learning curve. These benefits, in addition to our innovative cloud-based translation software features, make Pairaphrase the #1 choice in language translation software. Can I import and export Translation Memories? You can easily upload translation memories in .tmx format from other popular translation memory applications. Just as easily, you can download your Pairaphrase translation memories in .tmx format and import them into other translation memory systems. You have complete access to your company’s translation memories 24/7/365 a year.